The world of football, not only Italian football, is still shocked and mourning a young champion and a great human being. 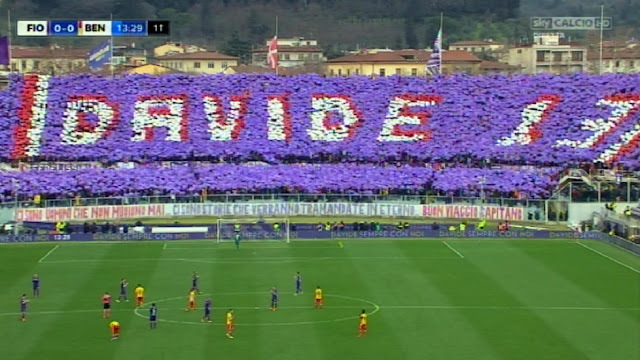 On 4th March 2018 Davide Astori, 31, suddenly and unexpectedly died in his sleep in a hotel in Udine, the day before the match Udinese vs Fiorentina. His death was caused by a cardiac arrest as determined by an autopsy conducted two days later. Both Serie A and Serie B matches scheduled for the 4th March were postponed. UEFA announced on ‘Twitter’ that a minute of silence had to be observed before every European match scheduled for that week. His death was a real shock for his mates, his friends and, of course his family. His ex team-mate Carlos Sanchez collapsed to the ground after hearing the news of his death. 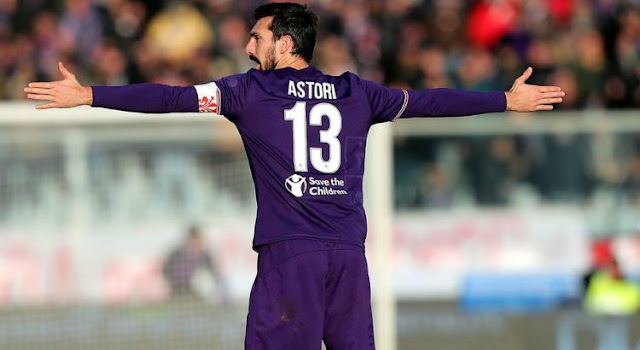 In honour to Davide Astori both Cagliari and Fiorentina retired number 13 which was Astori’s. He started playing football for Pontisola and then he moved to his senior career with Milan. In 2008 he signed for Cagliari for € 1 million. He made his debut during an away game against Siena, coming on as a substitute in the second half. On 31st January 2010 he scored his first goal for the club. In 2011 Astori revealed him turned down a move to Russian side, Spartak Moscow. Then he moved to Rome on a season-long loan deal for € 7 million. Astori made 30 total appearances for Roma making his debut in Champions league. On 4th August 2015 Astori signed for Fiorentina. At the beginning of 2017-18 season, he was appointed as the team leader following the departure of Gonzalo Rodriguez. He made his international debut for Italy in 2011 and represented his country 14 times, scoring one goal, which came in the Confederations Cup, where he won a bronze medal. 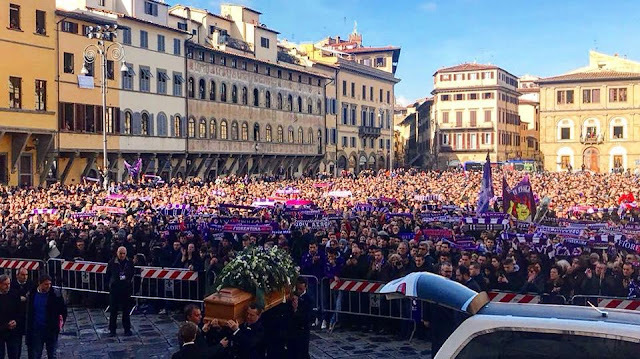 Thousands of Fiorentina fans have gathered for the funeral of their leader, Davide Astori, and also several famous people from Italian football. They were outside the Basilica di Santa Croce in Florence to pay homage to Astori with chants of “great captain”. A lot of Serie A footballers posted on their Instagram and Facebook phrases and photos paying tribute to Astori. Buffon said: ”You were the best expression of an old-fashion world” praising his altruism, elegance, politeness and respect toward others. 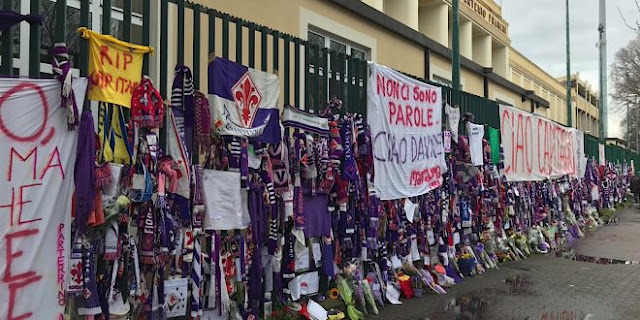 Fiorentina fans left their tributes (scarves, flowers and t-shirts) at the gate of the Artemio Franchi stadium. We too are still shocked for his death because he was too young and his tragic death was truly unexpected.